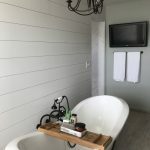 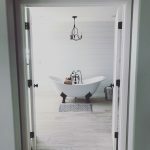 This rustic looking farmhouse master bathroom was another project close to my heart. 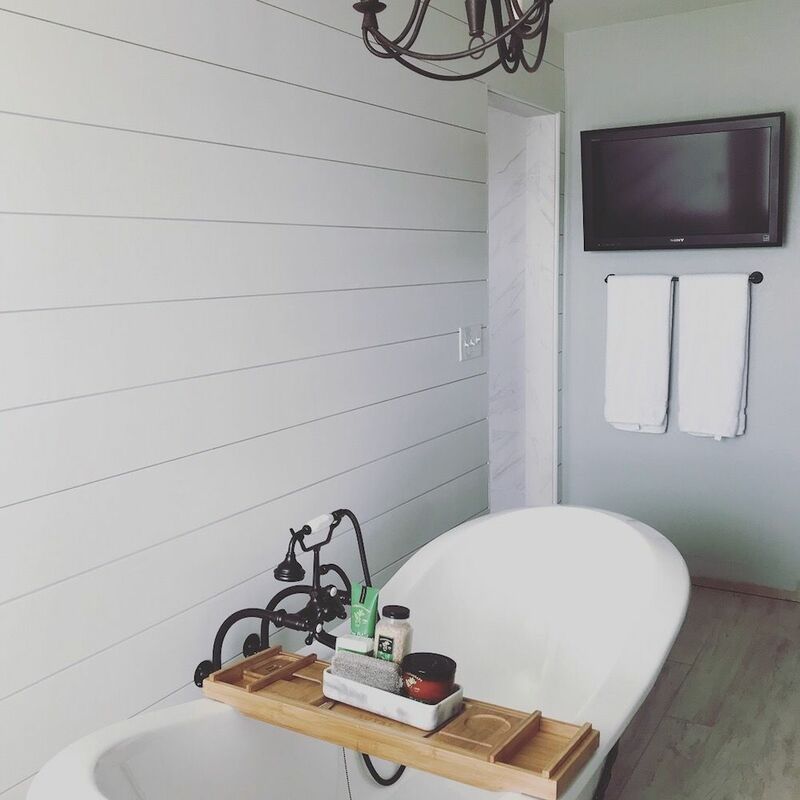 This masterpiece belongs to my sister-in-law, and has quite the backstory. 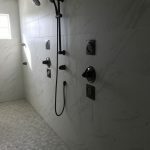 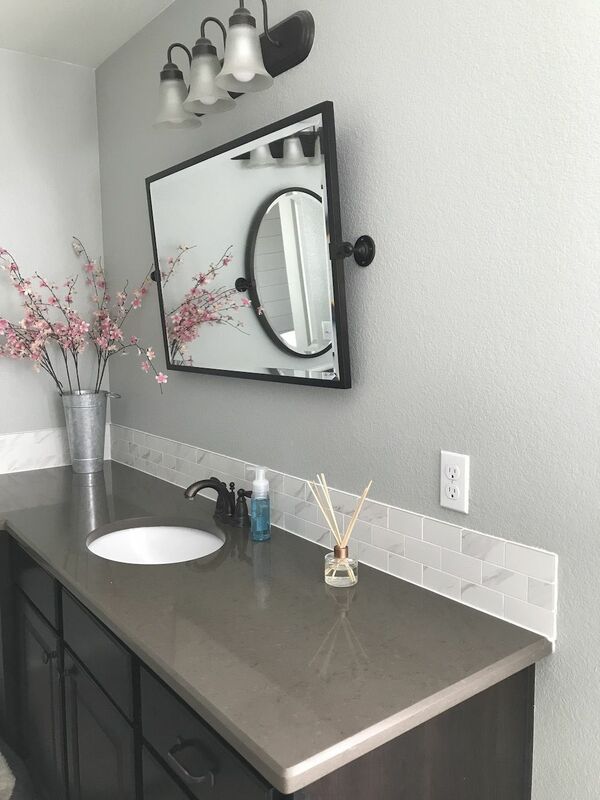 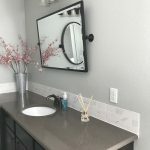 After water damage ruined their original master bathroom, they had an opportunity to upgrade and get their dream master bathroom. It took nearly 10 months of work due to delays with the builder, but it was absolutely worth it in the end. 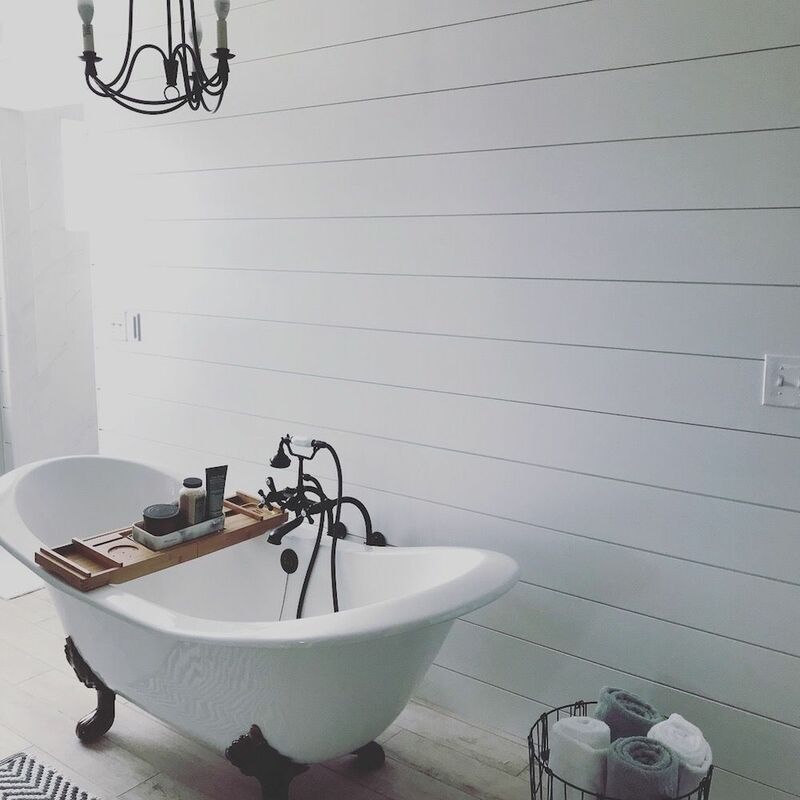 When viewed from the bedroom, the clawfoot tub takes center stage. 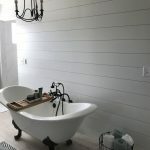 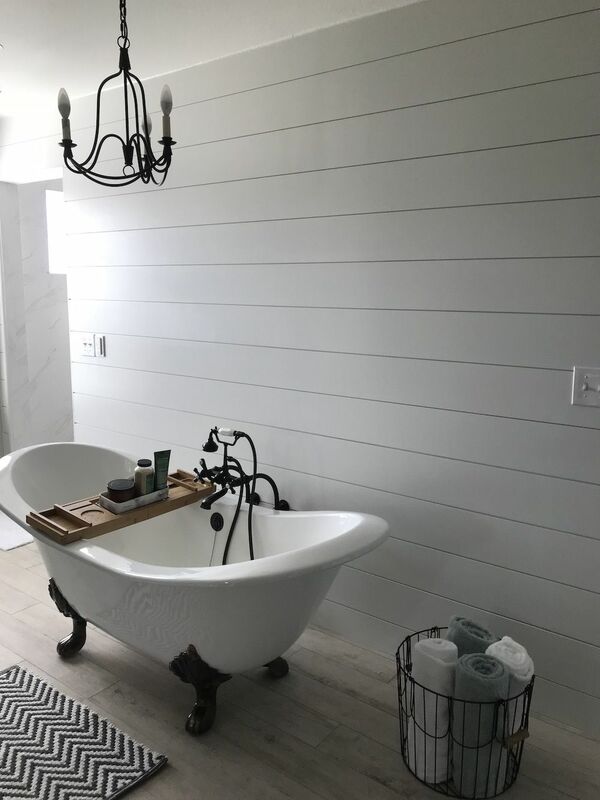 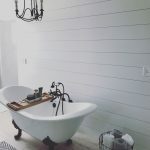 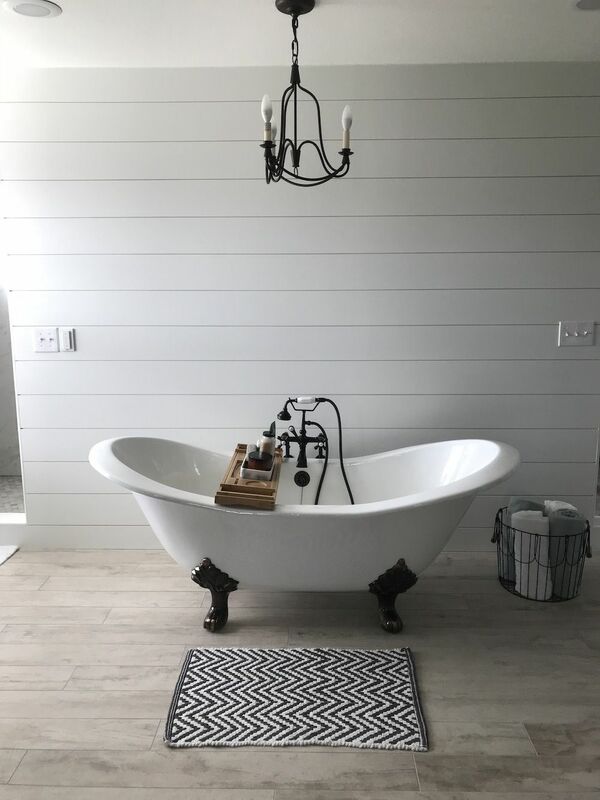 Surrounded by a white shiplap wall, wood grain porcelain tile, and a bronze rub chandelier, the tub is the star of the show. 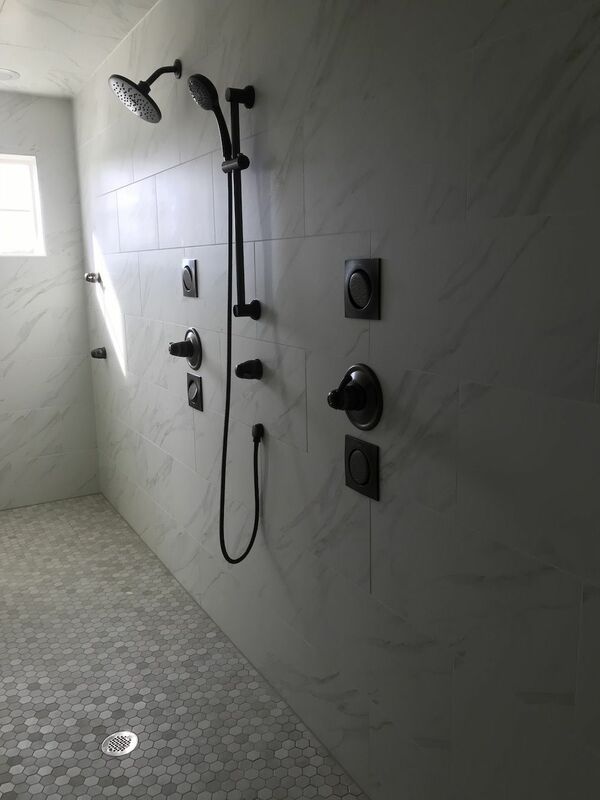 Behind the wall, a walk in shower lined with a faux marble from floor to ceiling and body sprays offers another spa like experience. 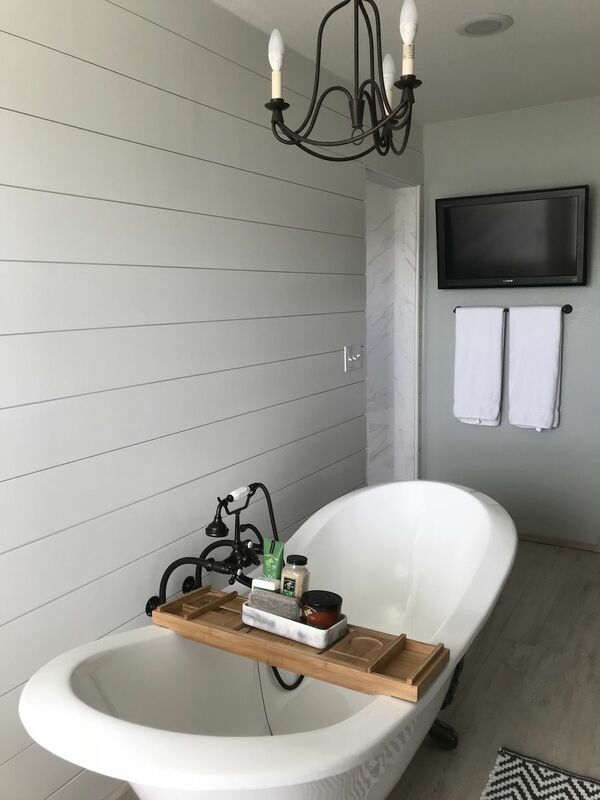 His and her vanities with quartz countertops round out this one of a kind farmhouse master bathroom.